Water for commercial or industrial use. 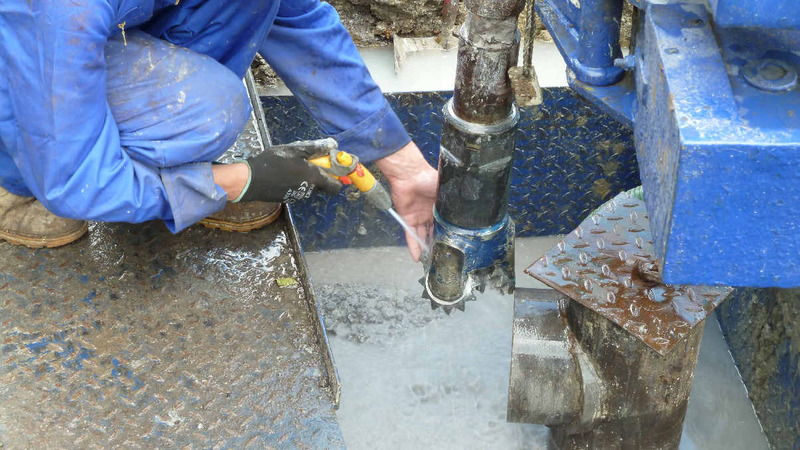 We simply increase the diameter of the borehole in order to extract more water from the ground. 16" hole approximate flow 400 cube per day. 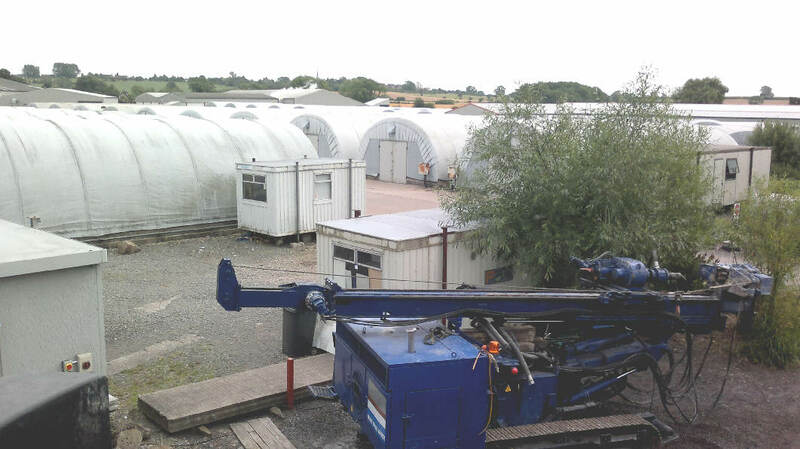 40" hole for 1380 litres per min, 2000 cube a day. 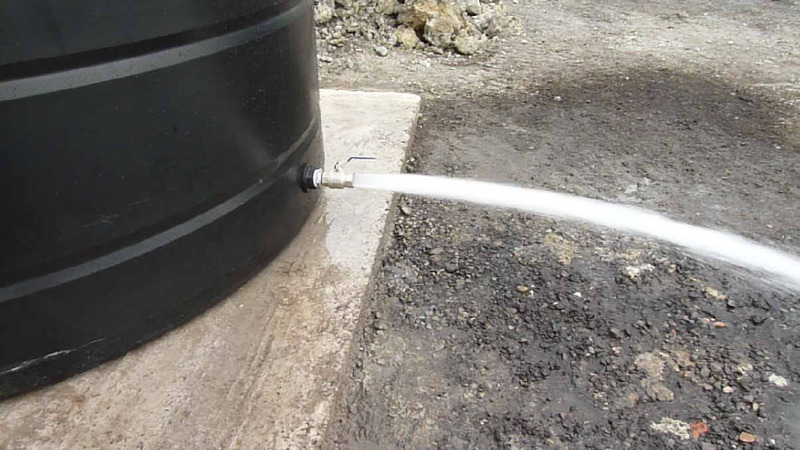 If you use 200 cubic metres a day the cost from water companies is around £92,000 per year. We can cut that cost to £400 for year two, after your installation. Below is a Mushroom farm that approached Bore hole water to supply a system for the plant. 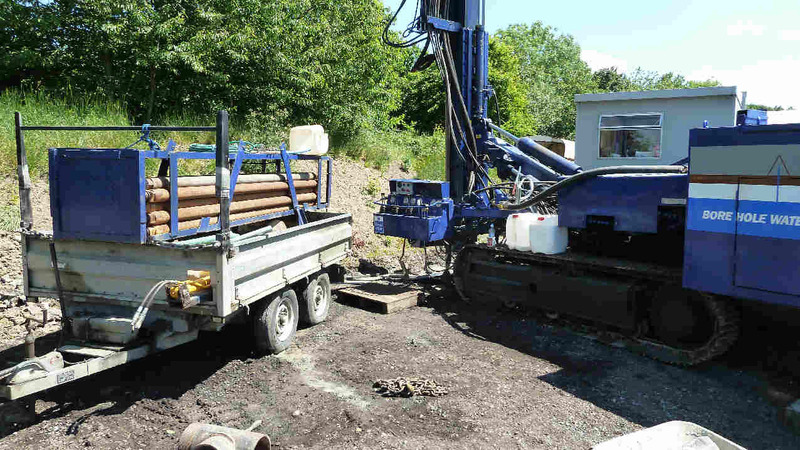 We installed a deep borehole and fitted 3 phase pump and twenty cube tank so that a volume of water was available when demand peaked. 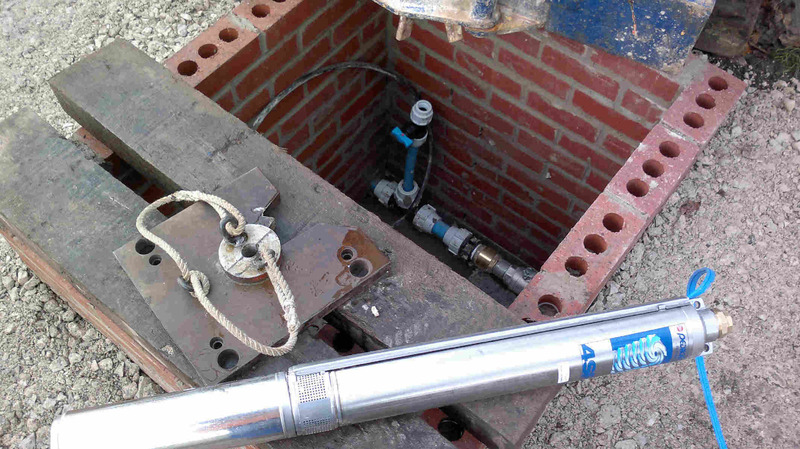 Manhole showing connection and none return valve complete with high performance 12 bar submersible stainless steel pump. We build solid, well constructed systems for all industrial applications where large quantities of water are required. This mushroom farm supplies some of the major super markets so you probably have already tasted our water.